G.M.COLLIN Essential Facial (Freshener, 30 min. European massage, Nourishing mask, Moisturizer). 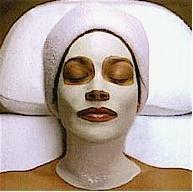 This facial is a great way to be introduced to the relaxing, soothes and refreshes, as it offers renewed comfort. Deep Pore Cleansing European Facial (Freshener, Steamer machine, Extraction of black heads, High Frequency Machine, Relaxing facial massage, Special regulating mask to absorb and balance oil secretions, Nourishing mask, which restores suppleness and skin comfort; and Moisturizer). Leaves your skin clean and refreshed with a smoother complexion. BOTINOL (Botox®-like effect) G.M.COLLIN’s signature anti-aging procedure provides a Botox®- like effect. No needle. No pain. No trauma. Botinol® is a clinical treatment using the latest technologies and breakthroughs in active ingredients to work as a wrinkle corrector able to act against expression lines and much more. It re-densifies, smoothes and relaxes the skin, visibly reducing the appearance of expression lines and preventing the appearance of new ones. 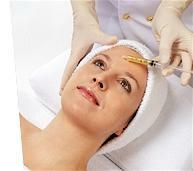 A non-invasive anti-aging dermo-procedure. This intensive treatment for superficial and deeper wrinkles combines strong anti-aging actives (such as Retinol) with 5 peptides – Argireline® and Myoxinol® (which have a Botox®-like action), copper peptides, zinc peptides and Matrixyl® – to relax and reduce expression lines and wrinkles. Botinol® is a new technology from marine source that rejuvenates, revitalizes, re-densifies and energizes the skin. The addition of potent antioxidants – alpha-lipoic acid and soy isoflavone – strengthens the dermis and inhibits the breakdown of the cellular matrix. 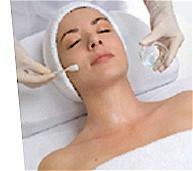 Benefits: After just one treatment, fine lines and wrinkles are relaxed and smoothed. 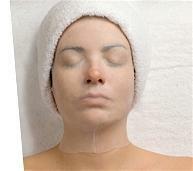 Lines and wrinkles are visibly reduced, the face has a more rejuvenated appearance, and the skin is plumped. Can be used for all skin types and conditions, including sensitive. COLLAGEN 90-II “Non-Surgical Face Lift” Corrective Anti-Aging treatment. A concept exclusive to G.M.Collin, this advanced clinical treatment is formulated according to the principles of “active cosmetology” to hydrate, regenerate and reconfigure the skin surface. Combining lyophilized, non-altered collagen and biotechnological active, it provides an immediate improvement to the skin leading to a more youthful skin appearance, without invasive surgery. Benefits: Used on a regular basis, Collagen 90-II promotes optimum skin conditions to subdue the appearance of visible signs of aging. For all skin types. SEA C SPA – Anti-Oxidant Vitamin C Care Preventive Anti-Aging Treatment. A reactivating clinical treatment designed to rejuvenate the skin by promoting collagen synthesis, replicating elastin and protecting against free radicals. Derived entirely from marine and vegetal active ingredients, Sea C Spa’s unique concept combines a Pure Vitamin C Concentrate, Algae Biomatrix Patches and Thermal Organic Mud. 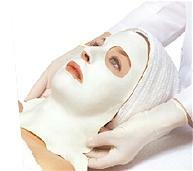 This treatment is exceptional for both pre and post sun exposure. Ideal for people who live in urban environments with elevated pollution levels. Benefits: Gives immediate and long-lasting improvement on the appearance of fine lines and wrinkles, is a powerful antioxidant and restores the youthful appearance of the skin. Applied on a regular basis, Sea C Spa promotes optimum skin functions to postpone the appearance of visible signs of aging. For all skin types. Benefits: This clinical treatment gives an immediate “surgical- free” lifting. For all skin types. ALGOMASK – Dehydrated, Sensitive and Couperose Skin A 4-in-1 clinical care for hydrating, soothing, decongesting and brightening. Its algae based formulation (laminaria) combined with hyaluronic acid promotes hydration. Its thermo-corrective action creates a cooling and decongesting effect that helps reduce redness. The organic silicium and an aromatic complex sooth and increase the skin’s vitality, brighten and restore a healthy look. Benefits: This combination of marine and plant extracts gives an “instant radiance effect” to the skin. For all skin types and for dehydrated, sensitive, couperose and acne -prone conditions. PURACNE OXYGEN CLINICAL TREATMENT FOR OILY OR ACNE-PRONE SKIN This revolutionary oxygenating acne treatment is designed to clear skin congestion, control acne and revitalize fatigued, stressed and dull skin. The 5-step treatment is formulated with BHA (2% Salicylic Acid), AHAs (15% Glycolic & Lactic Acids), a unique Oxygen Complex, Patented Anti-microbial Peptides and Probiotic* Actives. It treats and prevents acne, boosts the skin’s natural defenses, reinforces skin’s natural defenses, revitalizes, matifies, balances and hydrates skin in depth, giving it back its natural radiance and glow. Benefits: The skin becomes luminous, moisture balanced and younger looking. To obtain maximum efficiency, one treatment per week is recommended for five consecutive weeks. COLLAGEN SUBLIME EYE CONTOUR Your eyes endure a lot of stress each day, don’t they deserve a treatment all their own? The delicate eye area requires special care, if it is to remain looking bright and beautiful. • The treatment begins with the application of the Collagen Eye Contour Serum. This light textured formulation visibly decreases dark circles and puffiness. • The eyes are then covered with a pure, native collagen eye pellicle, dampened with the Youth Activator fluid, rich in hyaluronic acid. • The final step consists of the application of the Triple Action Cream, to minimize the appearance of dark circles, puffiness, expression lines and wrinkles. DERM RENEWAL CLINICAL PEEL (FRUIT ACIDS – 30%) A professional deep exfoliating treatment that combines a performing high-technology patented complex, offering the full benefits of AHAs without the sting. The Amphoteric Hydroxy Complex contains Glycolic and Lactic acids with Arginine to promote skin renewal and moisturization. A soothing neutralizing gel allows a customized application to suit your individual skin needs. Benefits: Brightens the complexion, detoxifies and lightens pigmentation spots, for all skin types. Approx. 25 min. 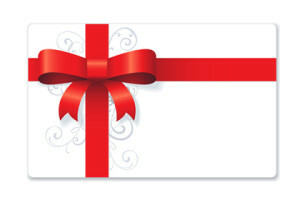 $55.00 Plus the cost of Facial Treatment. DERM RENEWAL CLINICAL PEEL PLUS MINI FACIAL Cleanser, toner, double exfoliation treatment, combines with natural creamy-based enzymes and powerful peeling abilities of AHA (30%), 15 min. 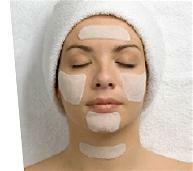 relaxing facial massage, moisturizer. For all skin types.